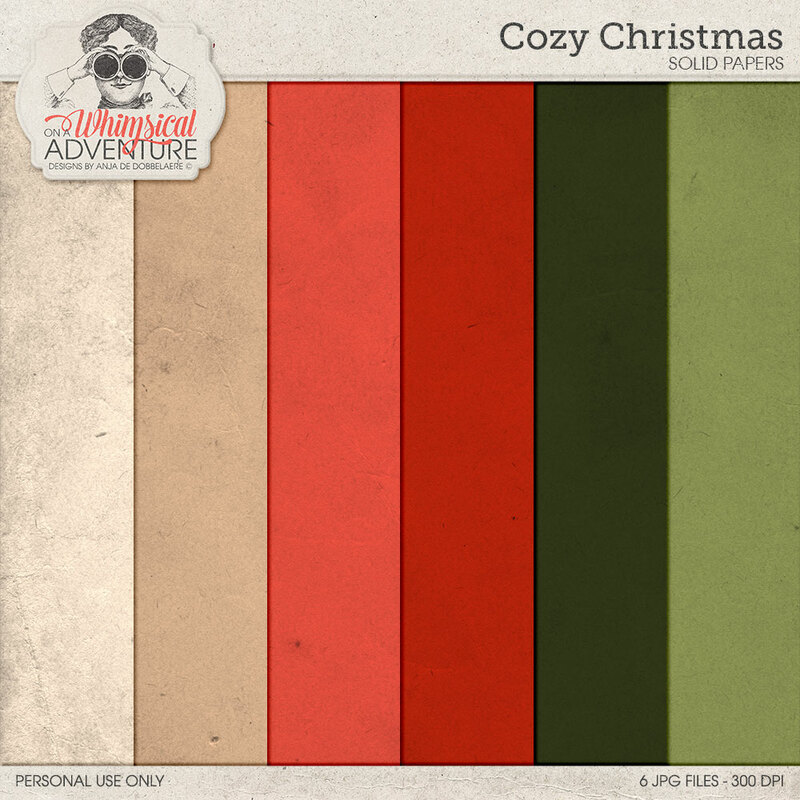 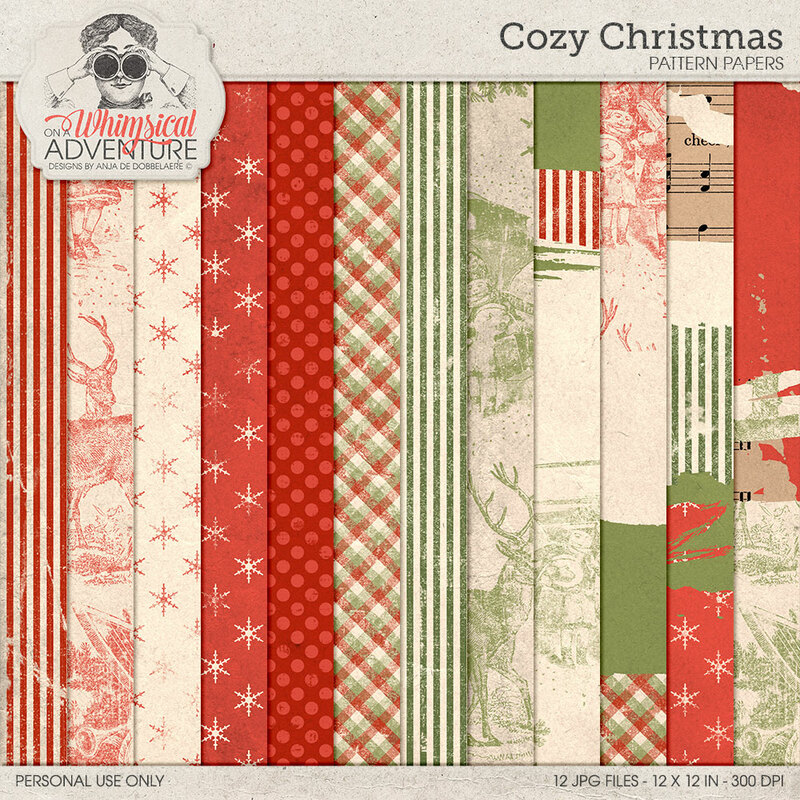 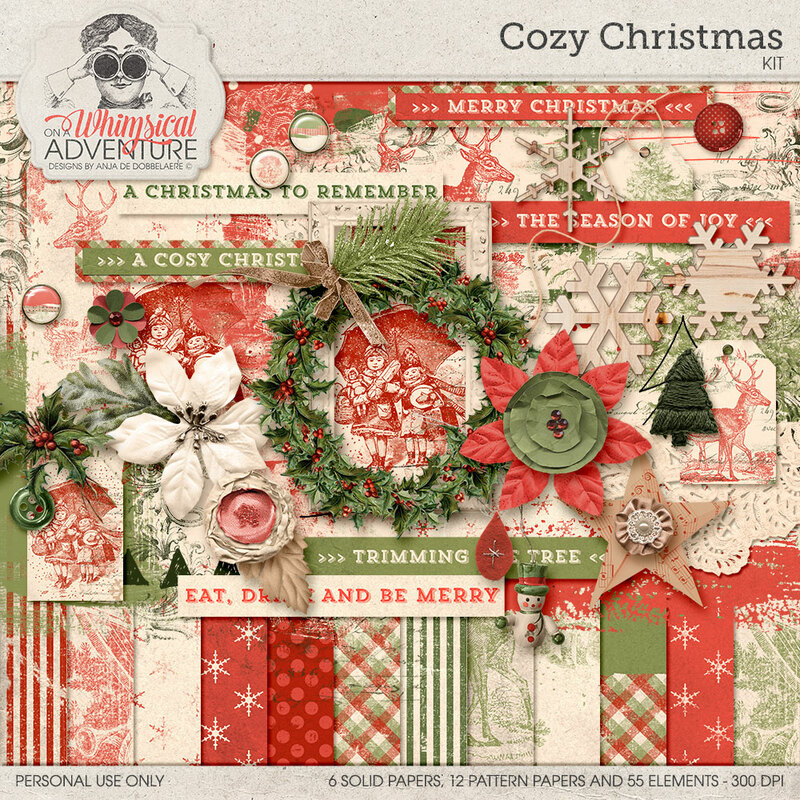 'Cozy Christmas' kit is a digital scrapbooking kit in traditional Christmas colors, and with a wonderful blend of vintage elements in warm reds, muted greens, and creamy tones combined with lots of artsy bits like paint and transfers. 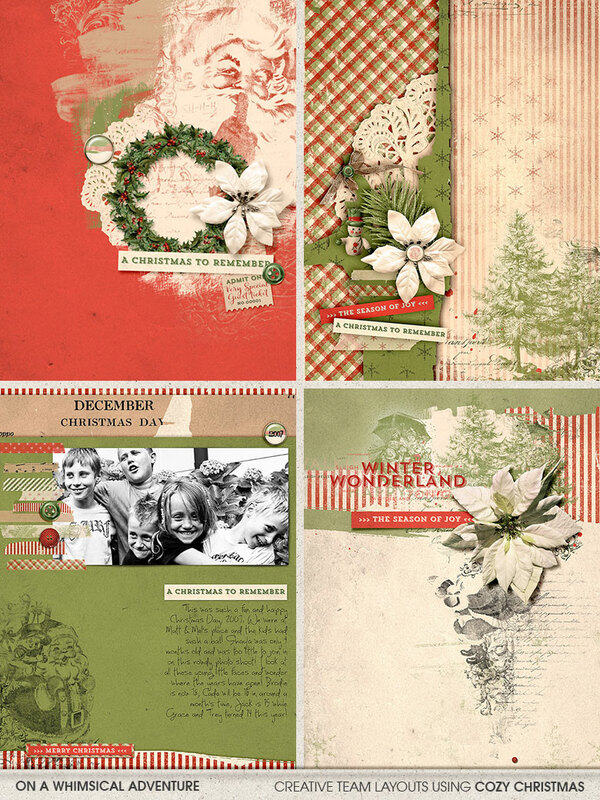 A delicate doily, a pair of deer, papers with a snowflake pattern, stripes, dots or plaid, the coordinating vintage Santa brushes, Christmas Carols Word Art and the cute Santa tickets (all links below)... it all grants this gorgeous collection a feeling of coziness, the coziness that comes along with those magical Christmas days, when we celebrate with our families and friends. 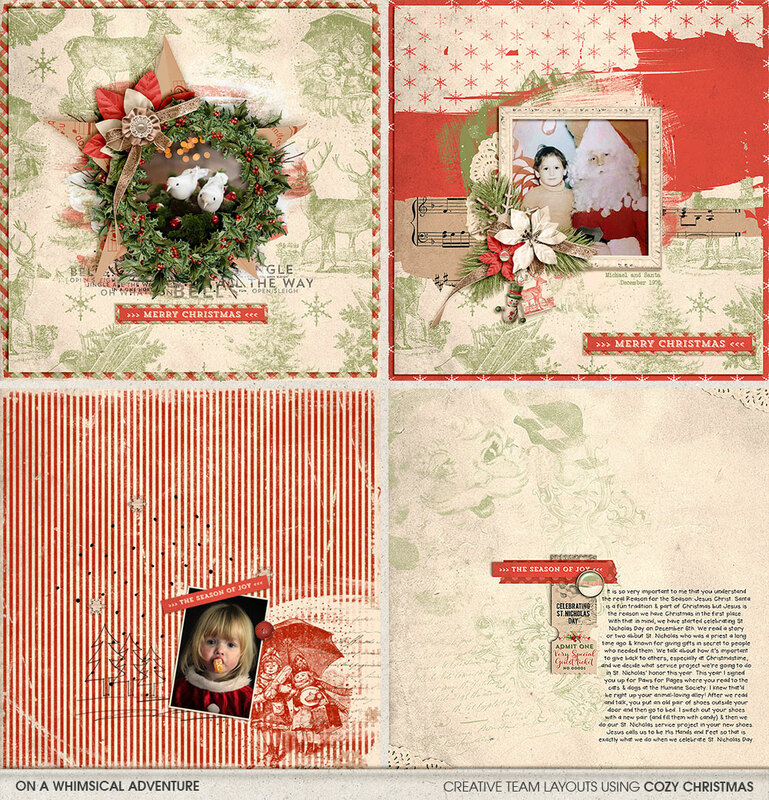 You will receive 6 solid papers, 12 pattern papers and 55 embellishments, including: 3 brads, 2 buttons, 1 piece of doiley, 4 doodles, 6 flowers, 1 frame, 1 holly, 1 lace stamp, 2 leaves, 1 felt ornament, 3 paint splats, 1 pine, 1 ribbon, 1 rope, 1 scribble, 3 snowflakes, 1 snowman, 1 paper star, 10 transfers, 3 tags, 1 embroidered tree, 6 wordstrips, 1 wreath of holly. 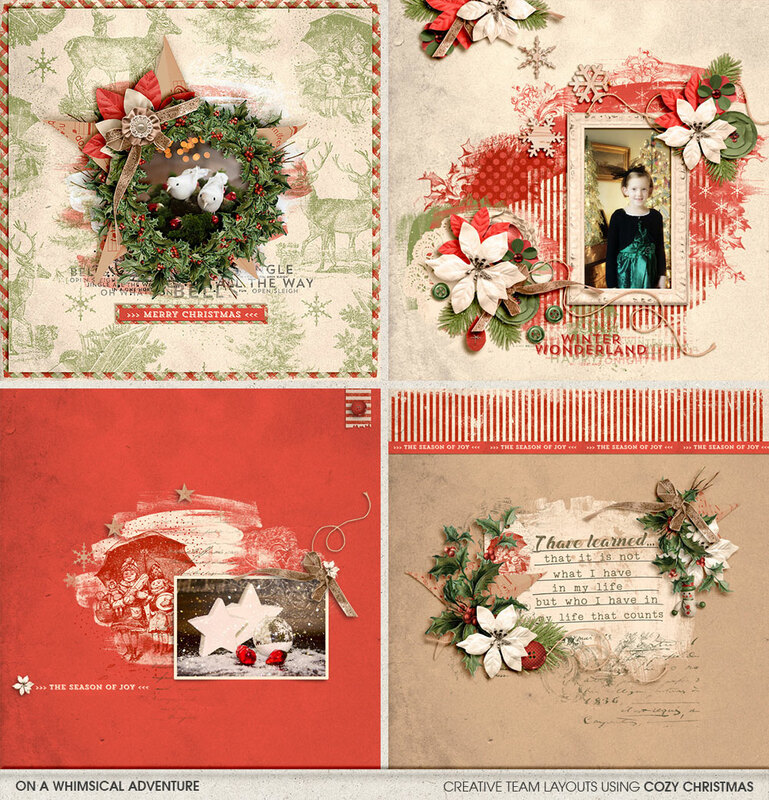 This pack was previously available, but has been updated and extra elements have been added. 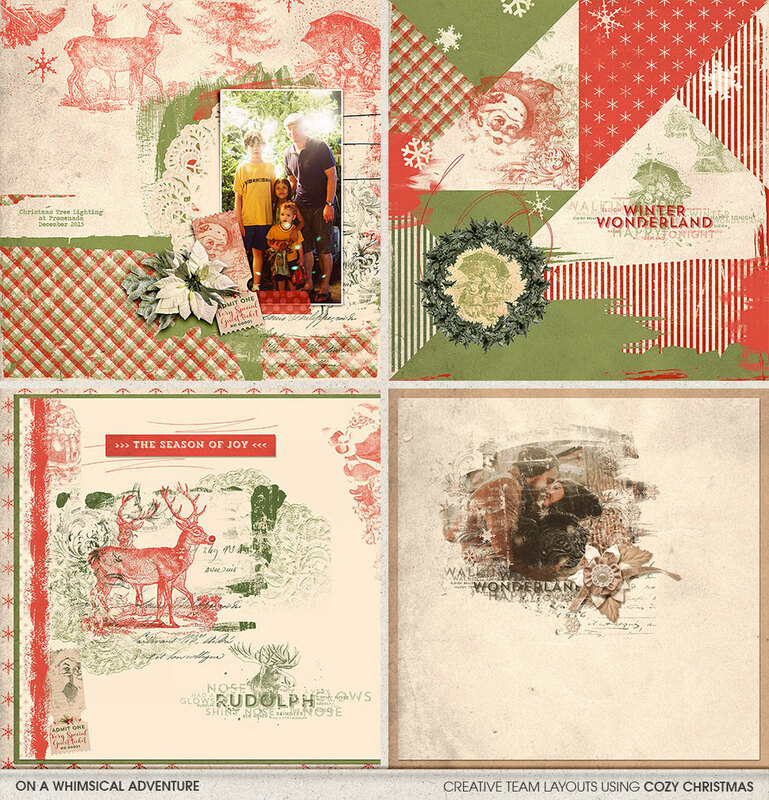 Please check your stash before purchase.